The installation of Loaded Commerce is easy, when you use the Softaculous automated process. We will review the steps for that and all of the options you have using this method. This will provide an inside look on how to complete the process yourself. To help you get started with Loaded Commerce our Technical Support team provides Free Loaded Commerce Installation. 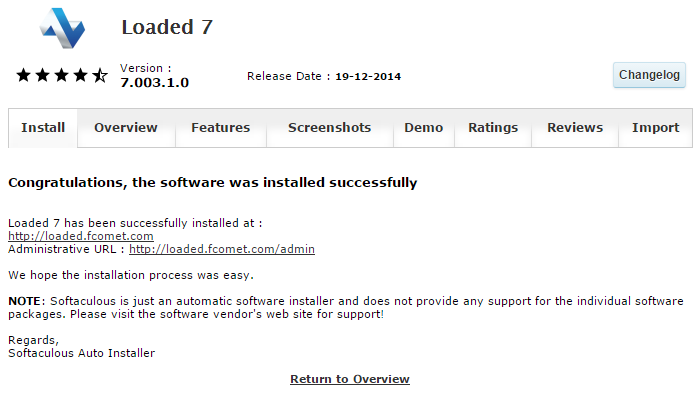 The first step of the process is to access the Softaculous auto-installer. For that purpose, you need to log into your cPanel account and locate the Software and Services section. Click on the Softaculous icon to proceed. You will be presented with a list of all available applications for free installation. The list is located on the left-side of the screen and the available scripts are grouped by their functionality. 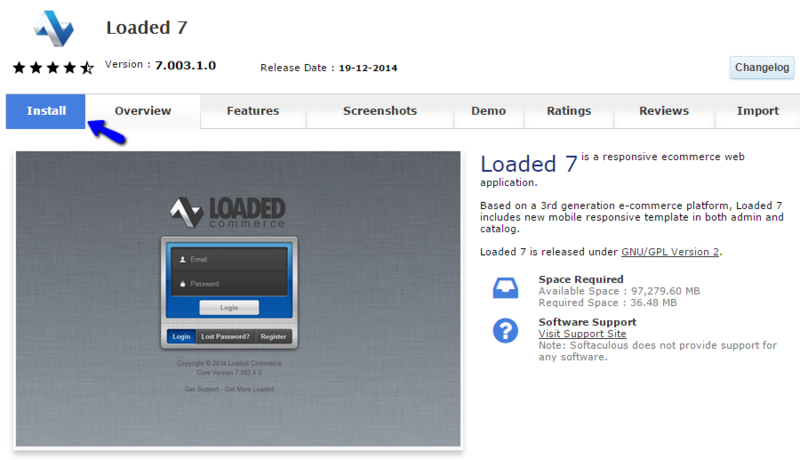 Search for Loaded 7 and select it. You will be taken to the Loaded Commerce overview page of Softaculous. It will provide valuable information about the script and what it is designed to do. You will also be able to see a live demo, reviews and many other options. If you wish to proceed with the installation, click on the Install button. The system will initiate the install script for Loaded Commerce. You will have a few options for a proper set up of the application on your account. We will review all of the available options so you can make sure that Loaded Commerce is configured properly on the server. Table Prefix: Set a prefix for the tables on your database. If you are using existing database with data in it, you may specify any prefix, which allows you to easily locate the tables for this new installation. When you are ready with the configuration described above, simply scroll down to the bottom of the page and click on the Install button. The system will automatically initiate the process for you. The installation may take a few seconds to get fully completed. Once this process is over, you will be presented with details about your new website, which includes the home page URL, as well as the one for the administrative area. Enjoy!